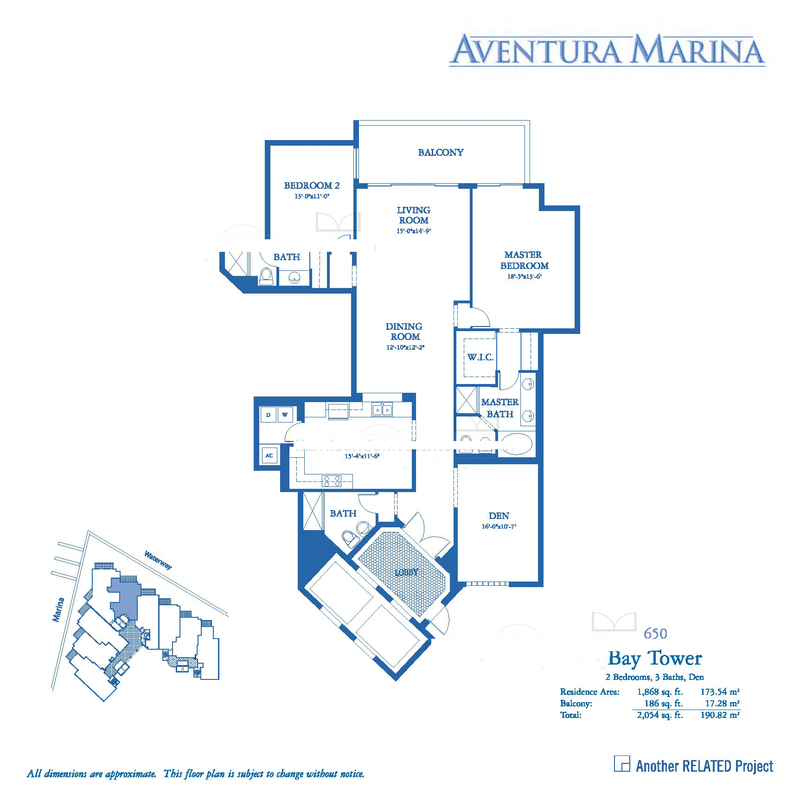 Aventura Marina is a high-rise condominium situated on 10.5 acres of landscaped property with bay access. 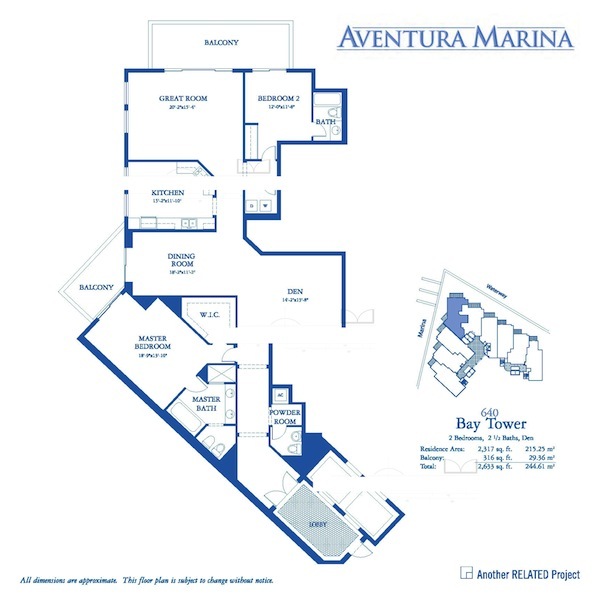 The Mediterranean-style structure features two and three-bedroom residences, with only three units per floor. 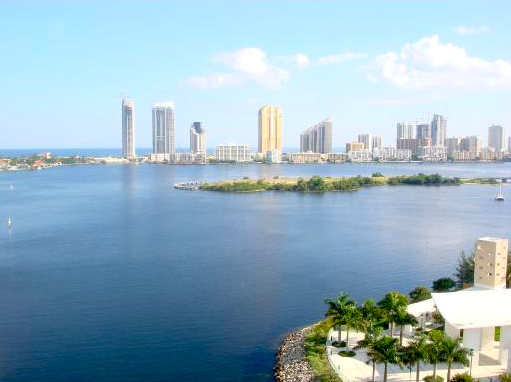 Residences range in size from 1,400 to 1,800 square feet. 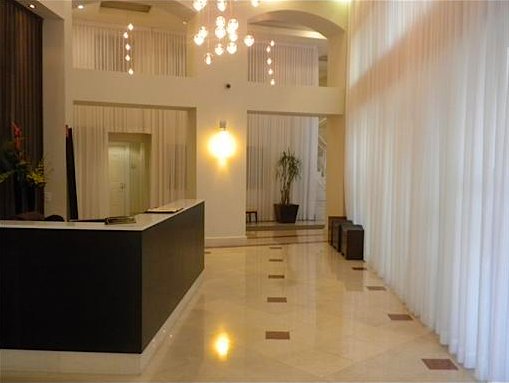 It is known as the most family-friendly condo as it offers activities for the whole family. It is also very safe - the entrance is controlled by a gatehouse with a round-the-clock guard. 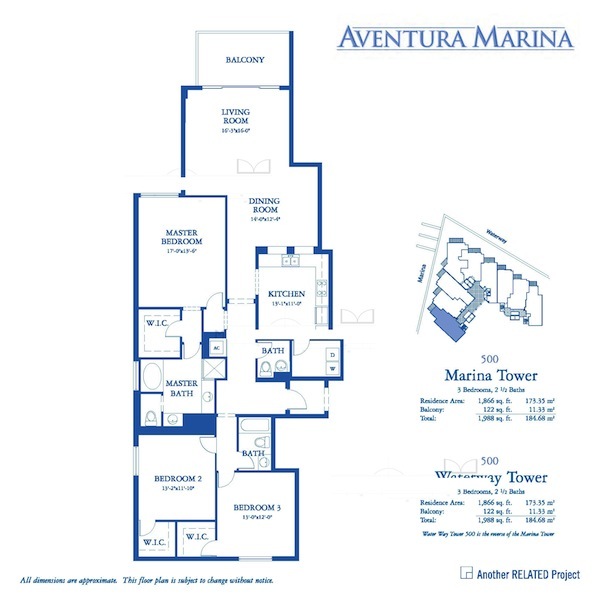 The units at Aventura Marina have high ceilings, large windows and terraces. Residences also feature upscale designs and finishes. In the kitchens, you will find imported ceramic tile, custom design European-style cabinets and granite countertops. In the baths you will find ceramic tile flooring, marble vanity tops, double porcelain sinks and designer faucets. In the maser bath - a lavish roman tub with recessed lighting. 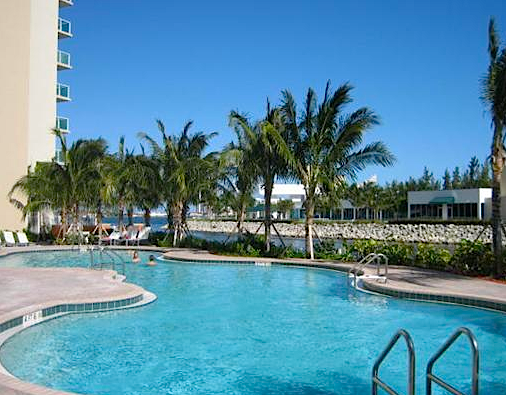 As for the amenities at Aventura Marina, there is something for everyone. 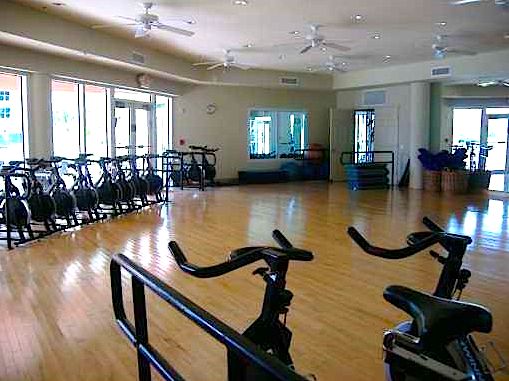 You can enjoy the resort-style pool and sun deck, workout at the state-of-the-art fitness center and spa or play golf at the 3-hole pitch and put golf course. You won’t have to worry about keeping your young ones busy, as there are many children’s activities and classes available. 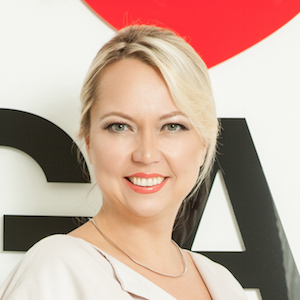 If you work from home, you will surely find the business center useful. And to unwind after work, you will have access to the media room and card room. 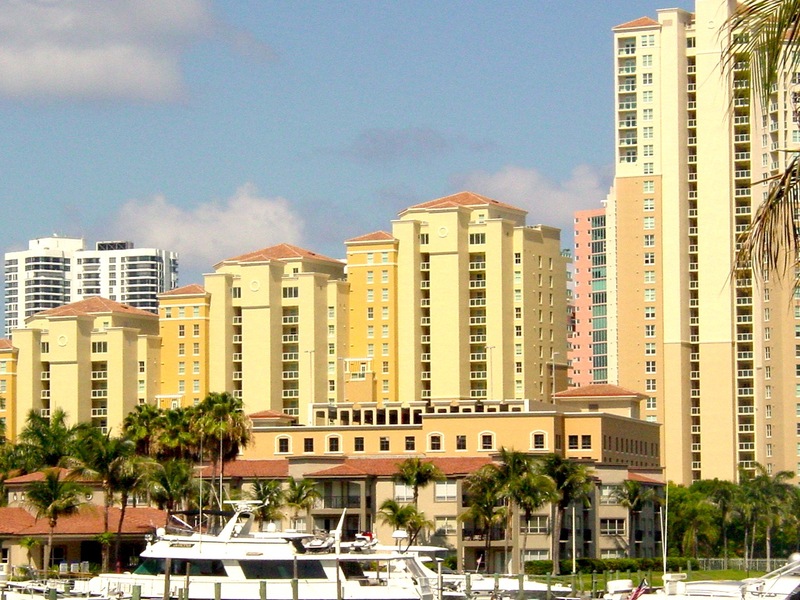 Aventura is truly a wonderful place to reside as it is half way between Miami and Fort Lauderdale. 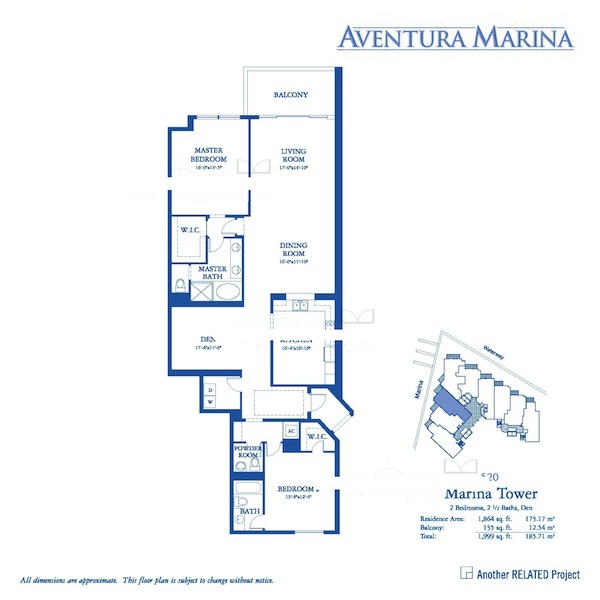 Investing in Aventura Marina will allow you to be minutes away from the beaches, exciting night life and cultural venues, yet nestled in a safe and serene environment. 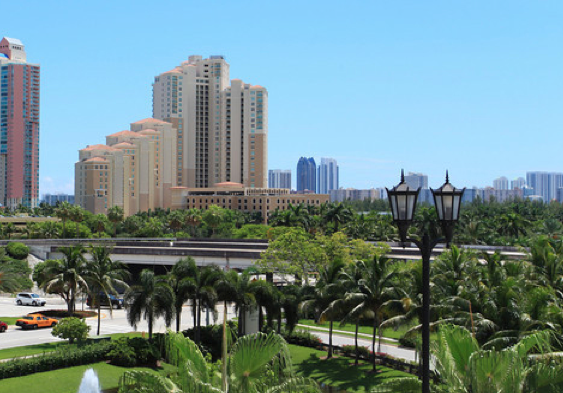 Just a short drive away is world-class shopping at Bal Harbour Shops and the famous Aventura Mall. And dining and entertainment options are simply innumerable. 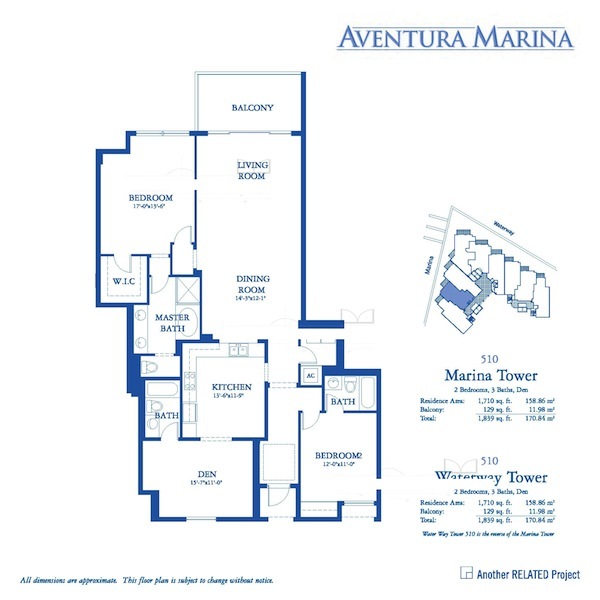 To learn more about Aventura Marina, please contact Bogatov Realty!